Thank you so much for joining us at the Inaugural Wilmington Historic Half & 5K certified road races on 12/2! As we get ready for Sunday 12/2, we’re covering a lot of the frequently asked questions regarding travel, parking, expo/packet pickup, race day plans, after party, etc.. plus lots of quick links to help you have a great race experience. But if you have any questions at all, you can respond to this email directly and we’ll do our best to respond promptly. KNOW SOMEONE THAT’S MISSING OUT? TELL THEM TO REGISTER FOR THE 5K BEFORE IT SELLS OUT! Know some of those “non-runners” but awesome supporters? Get them out here to cheer you on and tell them they will have 10 times the fun if they make a sign! FREE for runners and spectators to have the best race experience possible! (iPhone Download) (Google Play Download) or search “Race Joy” in your app store. Once you’ve downloaded the app, search “Run Historic Wilmington”. Enjoy verbal notifications throughout the course, friends will know exactly where you are at all times, send cheers and much more! SNAPCHAT & USE SOCIAL MEDIA TO WIN A FREE RACE ENTRY! At the expo and on race day, look for our snapchat filter while around The Shell and the after party area. Enter to WIN A FREE RACE! We do this every race and it’s a fun way to share pictures and have a chance to run for free! Use #RunILM to share with your friends you’re running in this race. Take pictures of your training, during the race and at the after party on Facebook, Twitter & Instagram. We’ll be sharing your pics on our website and facebook page. Be sure to tag us or post to our page so that we see your pictures! 1 Lucky winner from the photos uploaded will win a FREE entry into any of our races – your choice! You can start sharing pictures NOW! 1) No ID = No Beer – You must bring your ID to the race. We don’t care if you’re over 40, over 50 or in the top age group – we ID everyone. 2) It’s a limit of 1 beer ticket per runner. You will have tear-away tabs on your bib for this. You will be able to purchase additional beer for $3/each. 3) All alcohol must stay within the beer garden area! About: You may know Bart Yasso as the “Mayor of Running” the now retired Runner’s World Chief Running Officer—the man who seemingly cheers on every runner across every finish line of every marathon. Join him in Wilmington as he will share lessons, wisdom, and insights learned from running in more than 1,500 races near and far. Experience firsthand not only how Yasso’s training tips and practical advice make us all better runners, but also how his infectious spirit and love of life make us all better people. Bart will be happy to autograph your bib or sign one of his books. If you’d like to connect with Bart you will have the opportunity to do so before and after his speaking times. You may also connect with him on Instagram and twitter. Bart Yasso will be cheering you on at the Wilmington Historic Half & 5K. Click here for his website. Packet Pickup: Bart is our guest speaker for the weekend and will be talking at 3pm and 5pm during our expo. He’ll be sharing some of his best stories and signing his book so don’t miss it! Race Day: Bart will also be kicking us off on race morning and congratulating you as you finish the race on Sunday. We will host a packet pickup on Saturday December 1st from 2pm – 7pm at The Shell (downtown Wilmington) located HERE (10 Harnett St. Wilmington, NC 28401). We are asking ALL packets to be picked up here on Saturday night. If you can’t make it, it’s ok to pick up race day morning – but please come extra early! *Packet Pick-up is over promptly at 7:00. If you can’t make it by 7pm, your packet will be at the start line in the morning. FAQ: I chose to have my packet mailed, when should I receive it? These were shipped on Friday 11/23 and should arrive to everyone by Monday or Tuesday at the latest. It includes your 1/4 zip and bib. PARKING: There are several places to park around the start/finish line and all over downtown. Click Here for available downtown parking. Click Here or use the address: 800 N. Front St. Wilmington, NC 28401 for our start line. Early birds get some really good parking spots! *All meters on the street are free on Sundays but PLEASE DON’T PARK ON THE ROUTE DOWNTOWN! (1) Arrive 45-60 minutes earlier for parking. (5) Bring pre-race hydration! We’ve got your need’s covered after the race with bottle water, banana’s, jugs of Gatorade, BBQ and beer. But be sure to bring any pre-race hydration or nutrition you may need. Click Here or use the address: 800 N. Front St. Wilmington, NC 28401 for our start line. *If you go to the website: http://wilmingtonhistorichalf.com you will see a large course map and a printable PDF for all of the routes. We will also have a large 8′ map for you to look at during packet pickup and by the start line on race day. Can I swap tshirt sizes? Yes, in the after party area – based on availability. 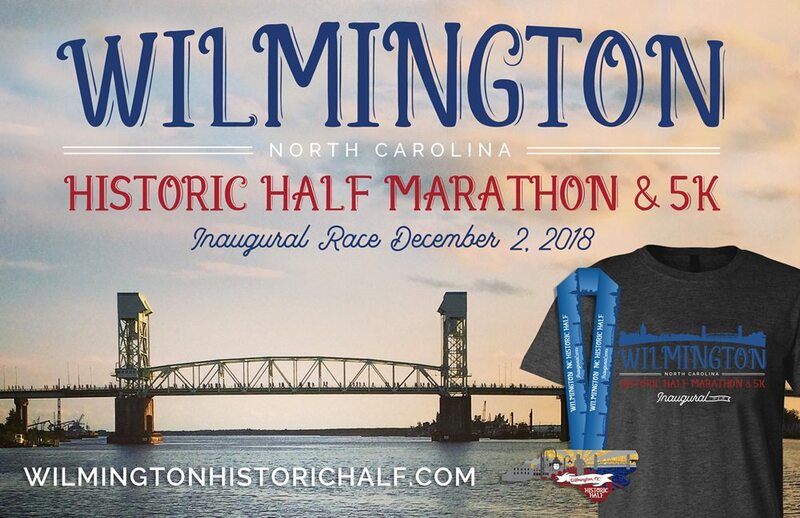 See our General FAQ’s Page and our Wilmington Historic Half & 5K Race Website for more information and again, please don’t hesitate to email us here and we’ll do our best to respond promptly.